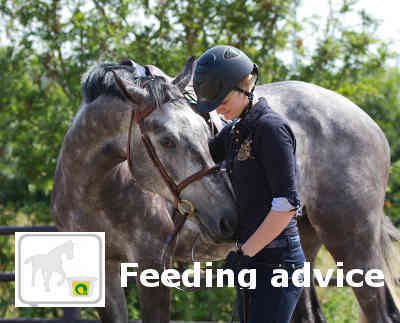 Firstly, this does not only apply to a competition, but also to heavy training or if your horse has to perform extra. It depends on the weight of the performance how much extra need there is for feed. A horse with a lower energy requirement (such as maintenance and / or recreation) can supplement the extra need by giving good quality roughage. Think of Hartog Lucerne-mix. But horses with a high energy requirement may need an additional supplement. The Hartog Energy Classic is very suitable for this. From 15 minutes after feeding concentrate to your horse dissolved sugars and starch in the blood as glucose. The glucose then drops very quickly because the body stores it as a reserve energy source. This low glucose content has a negative effect on the performance of the horse. Therefore, do not feed concentrate anymore within three hours of your game. Small amounts of roughage for the competition are much better. The energy released from, for example, Lucerne-mix supports the endurance and keeps the acid level in the stomach up to standard.